I struggled for years to find a good mobile lighting setup. I was always either weighed down with large studio strobes, battery packs, and cumbersome light stands, or I was using ordinary flash guns that didn't always meet the expectations I had for them. Robert Hall has got a solution which hinges on the new lighting company on the block, Godox. 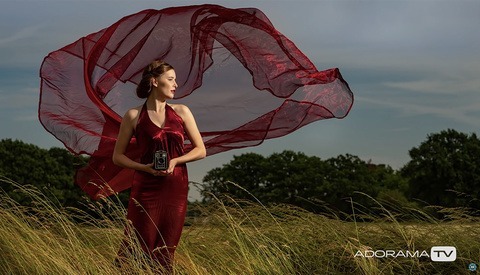 Hall uses three Godox AD200 Pocket Flash Kits. These things are about as close to a "industry disrupting" product that I have seen. They're cheap, powerful, and small, meaning on location lighting is their bread and butter. I must admit, I don't own any yet, but I am on the cusp of buying a few. I've shied away from flash guns in recent years, but these little guys are drawing me back in. Hall's lighting setup is a key light, a fill light, and a background light; a fairly standard setup for portraiture. However, the ease at which he can adjust and move this setup while shooting is alluring and a real selling point for it. What's your go-to setup for lighting on the fly? Share in the comments below. I use Elinchrom's Quadra sets; small, lightweight and reliable. It's easy to control via USB and from the Skyport triggers. The added bonus the heads are small with the weight in the base meaning they can act as an extra sand bag! Main downside is the cabling to the heads and price compared to the Chinese heads this said I can get local support for Elinchrom whereas I have to deal with a proxy for Godox (which can be problematic). If you are in the US buy from Adorama. They will provide the necessary warranty. From what I gather, the concern a lot of people have is that after that warranty ends, then where do you get your lights serviced? Does Adorama service their Flashpoint lights out of warranty? True, but you're also faced with the question of how long these lights will last before they need servicing. I'm not blasting the lights, mind you. I think they're an awesome value and I have a cheap pair of SP Studio Systems Excalibur 3200's that have been working without requiring anything more than changing the occasional flash tube for nearly 15 years so just because a light is affordable doesn't mean it's going to break down. Then again, that's a much simpler light than these Godox/Flashpoint systems. I guess time will tell. Having said all that, I've recently bought into the Elinchrom system mainly because I'm not a huge fan of the Bowens mount. I do wish that they would make a speedlight or something similar to the AD200 that works natively with their Skyport system, though. I have been using Godox since 2015 and although I have had a small issue with one of my AD200's their stuff works and works very well. I have 7 Godox flashes, three triggers and six receivers and all work very well. The receivers are for the older units that do not have built in radio. A friend of mine has had an old Godox strobe he told me he bought around 2005. I forget the model number but It was one that plugs to the wall. He used it practically every day. It was him that first introduced me to Godox. He used an old Pocket Wizard to trigger it. Agreeing with the other Robert here. I have 20 y.o. Profoto gear that I still use, but it doesn't have the latest bells and whistles. If you did have to buy a new light in 5 years, you'll probably have faster recycling, a stronger battery, a brighter modeling light with color temperature changes that you can use for video, less weight, etc. And you'll still be way ahead of what the Profoto costs. From what I understand (I am not a US citizen), Adorama does give support and repair services to their Flashpoint system. Godox is re-branded under their brand after all. with the advances they have had looking forward to getting some pros ! the real truth is my old photogenics that I used for the previous 15 years were great but modern features are really nice so I reckon in say 7-10 years what features we will see ? insane fast recycles better t times longer life batteries ? mine seem to go forever anyway :) but maybe better modeling lamps etc.. Yes, Cheetastand has their brand also. I also love the 400's and it is also my next step. By the way, you can get better modeling light on the AD200 with the round head. It's amazing how quickly they innovate and bring new stuff. Good for us photographers. In Canada the Profoto B10 costs around $2,300 CDN per head (!!!! ), the AD200 costs $400 CDN and the AD400Pro costs around $850 CDN. The difference is huge. 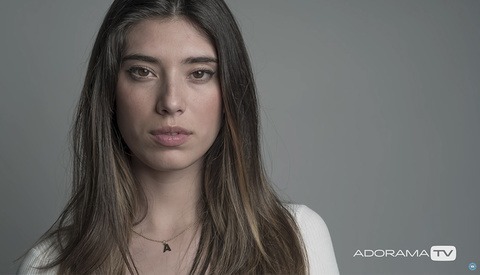 fStoppers compared the Profoto B10 to the AD400Pro but it should have been compared to the AD200 in terms of power. That means I can get almost 6 units for the price of one PF. on his youtube where this was taken I bet are the correct links but fstoppers should have kept his links in the article rather then using his vid and their links but sadly fstoppers has kinda gone downhill with this kinda writing and articles ? I doubt it was intentional. If they'd caught it, at least they shouldn't have linked to B&H if they weren't going to link to Adorama. I just thought it was funny. It's most likely F-Stoppers or the writer using their own affiliate links. I like speedlights. A good source for Godox in the US is flashgear.net. Any issues, return to him and he will handle repairs. I believe he even adds an extra year to the warranty. Power. Portability. Cost (an SB-910 is cheaper and more portable than a Kino Flo bank, for example). With continuous light it is hard to shoot at say f11 or f16, and as f1.4 yields a beautiful fall-off and out of focus area, f16 yields a beautiful sharpness. And with a strobe you can achieve those high f-stops. Now there is a continuous light that is hard to beat, in terms of beauty. And that is tungsten light projected through a Fresnel lens. What Nick and William said but also freezing motion. That being said, I wouldn't look at it as one over the other but, each for different situations. Strobe with a modeling light is optimal, in my never-to-be-humble opinion. Nick, William and Sam, thank you. Extremely helpful. Now I just need to lose my hesitation from using strobes. I use them but sparingly. When I do use them, even in daylight, I'm usually happy with the results and how it brighten a face. Thanks again.